I quite like this story. Don't know why there are so many one star ratings when there had only been like five chapters before. This story is generic, but I guess that's why I like it. There are many stories like this one. But the MC isn't a know-it-all ice queen which saves me a headache. It's honestly just a cute story. That's it. A little drama here and there. Though I must admit the MC is a bit pathetic in the beginning. The ML lead on the other hand, has a... more>> mysterious background. I rated a 1-star, not a 3-star, but my computer disagreed with me. The reason for the 1-star rating is not because of the translation quality, which is superb, by the way; but the flow of the story. Its start is painfully stupid to the point of wanting to smack your head against your keyboard nonstop; it's that bad. If you don't want to be constantly incensed by the characters including the manager MC, don't read this. If you enjoy the adrenaline rush that comes with wanting to throttle the character, then... more>> read at your own leisure. Hmmmmm, I really do not understand why there are so many low reviews for the novel. I mean it isn't the best thing out there but I personally found it cute and fluffy tor read. It is a great novel if you want to pass time reading something a little bit fluffy while waiting for releases of other novels. Also I honestly feel that the flow is not exactly so horrendous that it deserves a 1-star rating. I don't know why the previous reviewer reviewed one star after reading the first chapter. Is this female MC capable of becoming an overly troupe character? Yes. But by the time you get to ten chapters, she isn't bad. Tbh, this has reminded me of the Truly Precious series with a more rambunctious female MC and approachable male lead. If you're looking for a nice office romance with a touch of comedy this is it. 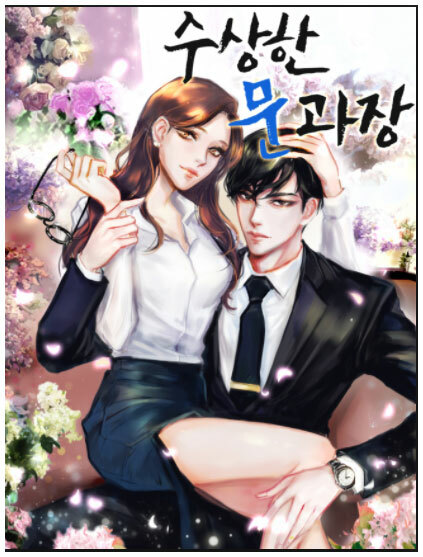 A light story with cute moments and nice chemistry between the male and female lead. There isn't too much drama, more of a slowly budding romance between the main characters. It's an enjoyable read overall if you like these types of novels. Quite nice story, recomended.